Visit Pooh, Rabbit, and Tigger by unlocking 100 Acre Wood in Kingdom Hearts 3. If you’ve played a bit of Kingdom Hearts 3, you may be wondering how to unlock 100 Acre Wood. Rather than unlock naturally as part of the game’s main story campaign, players will need to return to a previous world and meet up with a special character in order to unlock 100 Acre Wood. Additionally, 100 Acre Wood doesn’t tie directly in with the plot, and instead is a small world where you can play a few match games and collect Lucky Emblems. Eager to learn more? We’ve got you covered! Below, we’ve put together a quick guide on how to unlock 100 Acre Wood in Kingdom Hearts 3. Return to the Bistro and speak with Merlin to unlock 100 Acre Wood in Kingdom Hearts 3. In Kingdom Hearts 3, 100 Acre Wood doesn’t unlock naturally through the story, and instead must be unlocked by the player. To unlock 100 Acre Wood, you’ll first need to complete the Monstropolis world. With Monstropolis finished, you’ll be given a prompt to return to the Bistro in Twilight Town. There, you’ll meet up with Merlin who gives you a book that lets you explore 100 Acre Wood. By receiving the book from Merlin, you’ll have officially unlocked 100 Acre Wood in Kingdom Hearts 3. Inside 100 Acre Wood, there are 3 Lucky Emblems to find, and a variety of match games to play through. By completing all of the match games with Rabbit in 100 Acre Wood, you’ll earn the Home Again achievement in Kingdom Hearts 3 as well as the Hunny Spout keyblade. Overall, despite being small and not tied to the story, 100 Acre Wood is a beautiful addition to Kingdom Hearts 3 that’s well worth a return to the Bistro. Plus, you’ll need to return to the Bistro at some point to cook up new recipes with Little Chef! 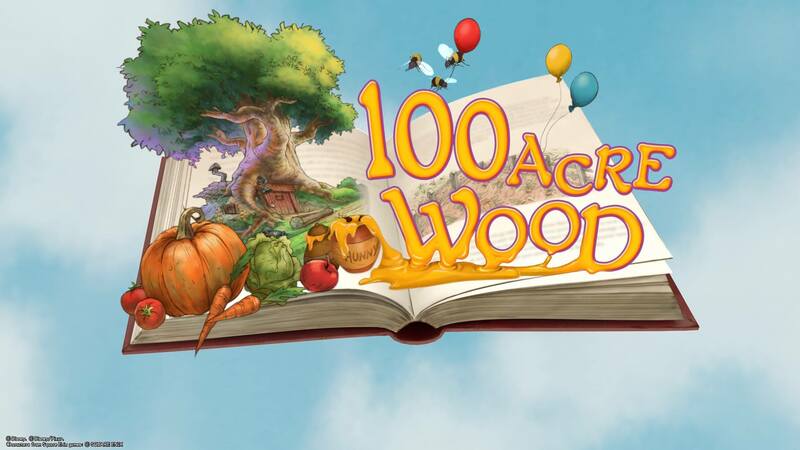 So, were you able to unlock 100 Acre Wood? If so, what was your favorite part of the world? Let us know down in the comments below! For more on Kingdom Hearts 3, be sure to check out some of our previous guides including the complete world unlock order in Kingdom Hearts 3, all keyblades in Kingdom Hearts 3, and how to skip and rewatch cutscenes in Kingdom Hearts 3.